From stunning Louisiana historic mansions to great weekend trip ideas in Texas, Alabama and Florida, couples looking for vacations from New Orleans have plenty of choice. Stay at a historic plantation bed and breakfast, luxury hotel on the coast, a charming country inn, or a rustic Cajun cottage. 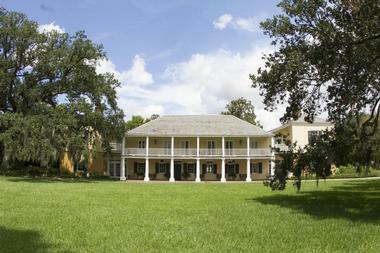 Houmas House Plantation and Gardens is located in Darrow, Louisiana. The tour of the place takes you back in time to experience the life of a wealthy sugar baron inhabited the property in the 1800s. Considering the number of films that have been shot here, sightseeing will be perfect. The property has beautiful cottages nested beside an alley of primeval oak trees where you can access the famous gardens to watch the sunset while relaxing. There are luxurious and romantic rooms with the decorative furnishings from the old world, adding to its historic importance. Four restaurants situated on the plantation offer delightful food you can enjoy as you while away the evening watching the beautiful scenery of this American History landmark. 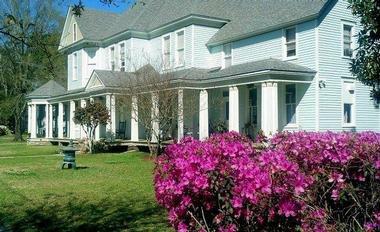 Louisiana Cajun Mansion is an exquisite bed and breakfast in Youngsville, Lafayette. The beautifully decorated mansion features spacious suites whose design reflects the time taken to ensure that guests are comfortable during their stay there. The Cajun experience is enhanced with well furnished rooms featuring private bathrooms and a beautiful pool. Free parking, free Wi-Fi, and fax and copy machine services are offered, among other amenities. The Cajun breakfast served in every room is also amazing. Besides the spacious sunroom, the outdoor patio completes your home away from home experience with a relaxed atmosphere offering repose like no other. The Historic Michabelle Inn is a country inn located in Hammond just a few blocks from the Hammond Square Mall and downtown Hammond. 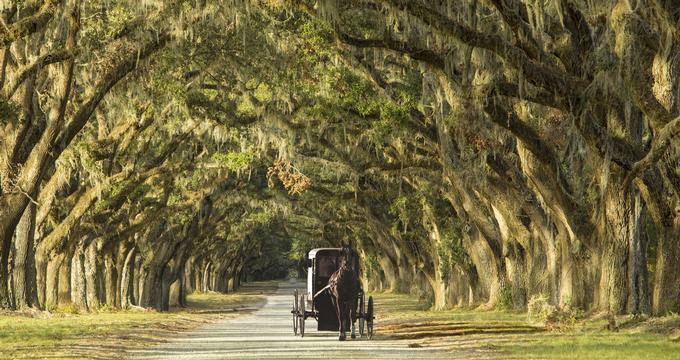 This romantic getaway sits on 3 acres of a serene environment covered with oaks, camellias, and azaleas. Guests have a choice between 8 deluxe rooms featuring elegant design styles, and a deluxe breakfast for two is served in the mornings. Wireless Internet, TV, microwaves, and mini fridges are but a few of the amenities found in the rooms plus access to the wide front porch of the cottage. Taking a stroll on the grounds while relishing the fresh, tranquil air always feels great. Guests can also chill out in the pool and hot tub. Special events facilities are also available at the inn. 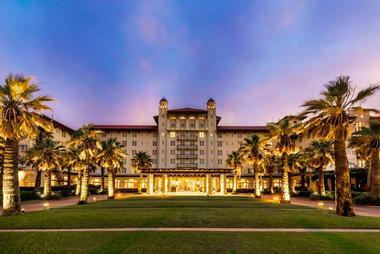 Situated in Galveston, Texas, Hotel Galvez and Spa has been welcoming visitors from around the world for over a decade. The AAA 4-Diamond property on the Texas Gulf Coast is home to modern amenities mixed with old world charm and decorations of the South. Guests are welcome to go for a dip in the sparkling pool, relax at the onsite day spa, or simply take in the idyllic view from the guest rooms. For a succulent seafood dinner, the hotel invites you to the Galvez Bar Grill. Patrons may also visit the Strand Historic District and Pier 21, which are a short scenic bicycle ride away. 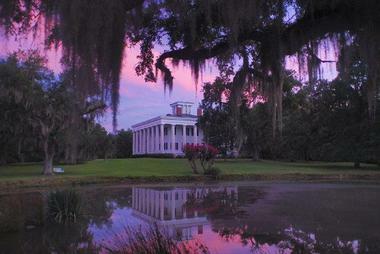 Ormond Plantation is a bed and breakfast with a rich history dating back to 1780. 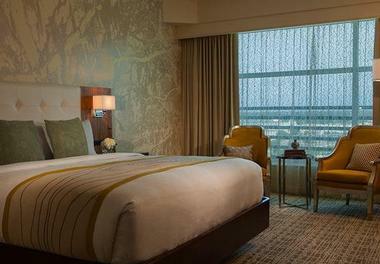 Guests visiting can expect to find comfortable rooms with air conditioning, heating, and a private bath. On top of this, there are beautiful period antiques furnishing the rooms, which add to their absolute magnificence. Taking a stroll on the grounds surrounding the picturesque plantation home provides one with the much-needed tranquility expected when strolling through a quiet and interesting place such as this. Guests can also relish an exquisite cuisine at the Ormond Plantation Restaurant. 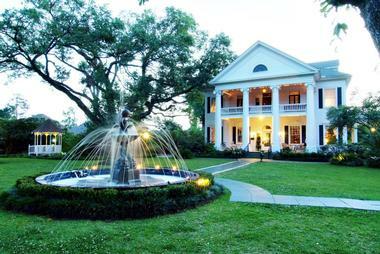 The historic Dansereau House is an elegant bed and breakfast and a special events venue located in Thibodaux, Louisiana. The house is an architectural masterpiece of its time, and your stay assures you a new glimpse into history with their lovely suites, which add to the splendor of the heritage home. Amenities include access to free parking, free Wi-Fi, and air-conditioning in all the cozy rooms found in the house. You can also expect a delicious breakfast served with true Southern hospitality at its finest. The Drinkery downstairs also does not disappoint. 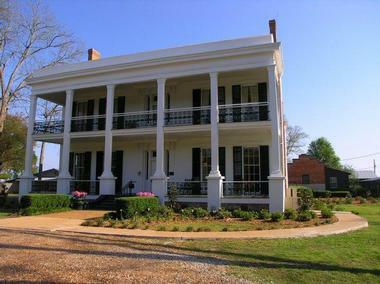 Fondly referred to as the best kept secret in the Feliciana Hill Country, the Greenwood Plantation was built by William Ruffin Barrow in 1830 and was just one of the Barrow family’s dynasty of homes in the West Feliciana Parish of Louisiana. Originally a 300-acre cotton farm, the plantation now has a new two-story building that serves as Greenwood’s bed and breakfast. 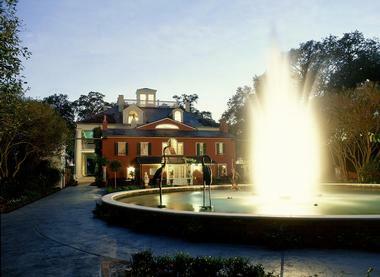 Deluxe accommodations overlook the Reflection Pond and the prominent Greenwood Plantation home, which has been featured in several movies such as “Bonnie & Clyde,” “G.I. Joe II,” and “Louisiana”. A vast grassland with blossoming gardens encompasses the plantation for a picture-perfect holiday. Situated just 16 miles south of Alexandria at the heart of a 640-acre working farm first established in 1820 is the picturesque Loyd Hall. Listed on the National Historic Register, Loyd Hall is an ideal destination for those looking for a charming romantic getaway while still remaining relatively close to the city attractions. Surrounding the hall are magnificent oak trees and acres upon acres of sugar cane and pasture farmland. Apart from Loyd Hall’s Pavilion, the plantation is home to five bed and breakfast cottages, the Commissary, Camelia, Magnolia, McCullough House, and Minda’s Cottage, as well as two luxury plantation suites, the Jenkins and Fitzgerald Suite. 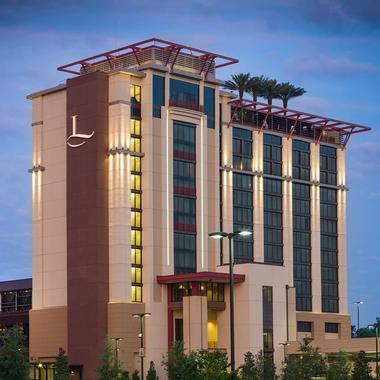 Check into the L’auberge Baton Rouge, a hotel located just a short drive away from Louisiana State University. Opulent and incredibly comfortable, the L’Auberge Baton Rouge has 205 boutique-style guest rooms with a range of free amenities for the enjoyment of guests. These amenities include flat-screen TVs, MP3 docking stations, plush robes, and slippers as well as an additional bathroom built into the bathroom mirror. A swimming pool with poolside cabanas can be enjoyed at the hotel’s roof top deck while guests are invited to have a drink at the bar, which also offers a stunning view of the Mississippi River. To better offer a night of excitement, the L’Auberge Casino is conveniently connected to the hotel, and several indulgent meal options are available throughout the hotel building. 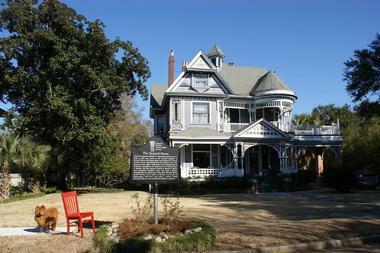 Located in the heart of downtown Mobile in the iconic Church Street East district, Petrinovich House is a two-story Victorian bed and breakfast designed by James Hutchisson in 1899. 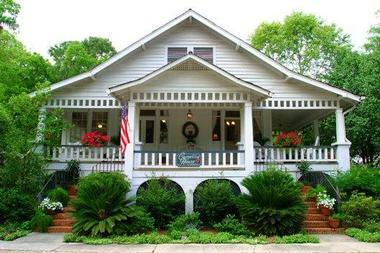 Camellia House Bed & Breakfast is nestled in downtown Covington. At this wonderful getaway, guests can admire the romantic beauty and rustic charm in the four dainty suites offering a mixture of luxury and elegance. On site, the porch, swimming pool, and hot tub are popular areas while in each of the rooms you can savor the tranquility and read a book from the library as you sink into the luxurious bed. Rooms feature amenities such as satellite/cable TV, Fridge, CD player, and hair dryer, among other amenities. Discover the sights and sounds of Old Mandeville Town at the Marvilla Guest House, a fully restored bed and breakfast that was built during the 1870’s. The home features gorgeous interiors, retaining its original heart pine floors and beaded wood ceilings while still offering many amenities to its guests. The surrounding neighborhood of the Mandeville Town, incorporated in 1840, is a quiet and relaxing oasis of lush moss-draped oak trees and thriving wildlife that is blessed with a wonderfully temperate climate. A few blocks away, several establishments such as fine-dining restaurants, antique shops, and boutiques are available to guests. The nearby Lake Pontchartrain is also within walking distance of the guesthouse and offers many water activities such as sailing and fishing. Encounter the distinguished heritage of the Coppersmith Inn, a romantic Victorian bed and breakfast established in 1887. Built in the Queen Anne style, the Coppersmith Inn has a number of trademark qualities, including exceptional woodwork, pocket doors, walk-through windows, 14-foot ceilings, stained glass windows, and a grand carved staircase. 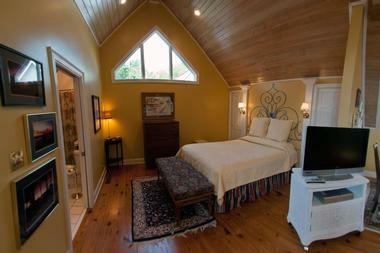 The bed and breakfast has five guest bedrooms with king or queen sized beds and private baths. The 120-year-old elegance of the property comes alive in the small details found in the 19th century furniture, antique decorations, and various amenities. Private accommodations in the garden, namely the Carriage House and Clara’s Cottage, are great options for a private romantic retreat. 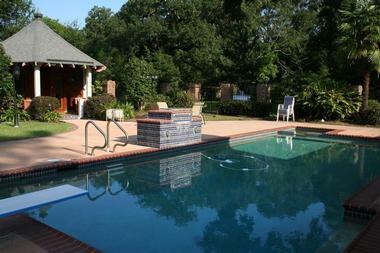 Woodridge Bed and Breakfast is located just 30 minutes from downtown New Orleans. Guests here have access to free high-speed Wi-Fi Internet access, an individually controlled heat and air control, a private en-suite bathroom, balcony access to view the lovely garden, and finally an enchanting gourmet breakfast, paving the way for a perfect start to the day. On location are a secluded hot tub and a beautiful garden pool to relax in as you pass the time. If you love massages, you can see a licensed massage therapist on site who is ready to rejuvenate your mind and spirit in the comfort of your room. 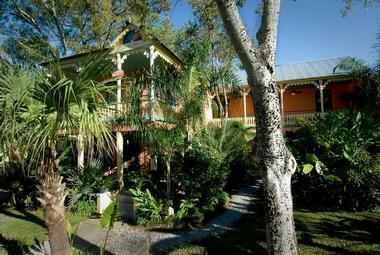 Constructed in 1890, the Lost Bayou Guesthouse is a colonial home that survived the great hurricane of 1900. The property is full of character and warmth, showcasing a relaxing environment, enjoyable fresh air from the Gulf of Mexico, and the personalized service of the innkeepers. There are five large inviting bedrooms in the guesthouse with grand windows so guests can appreciate the view of the historic neighborhood. Hardwood floors and tall ceilings add a warm and unmistakable colonial charm. Take a leisurely stroll to popular local attractions such as the Pleasure Pier, the Strand District, and Bishop’s Palace. Guests may also choose to spend a day sunbathing at the beach, shopping at local establishments, or simply taking a relaxing walk in the neighborhood. 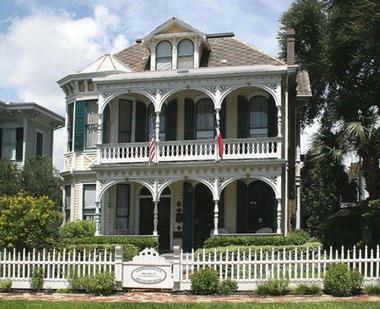 Built in the North Hill District of downtown Pensacola, the Noble Manor Bed and Breakfast encapsulates the elegance and romance of the Victorian era while featuring world-class amenities from the 21st century. The inn is decorated with a rustic mixture of antique furniture from 1905 and fine art prints. Each of the inn’s three spacious guest rooms and the Carriage House Suite still retains their original sleek pine heart floors reminiscent of Pensacola at the turn of the century. A continental breakfast is served every morning in the dining room while afternoons and evenings can be spent at the property’s inviting swimming pool, gazebo, or hot tub. Local attractions just a short drive away include the Naval Air Museum, Pensacola Beach, and guided tours of historic homes. 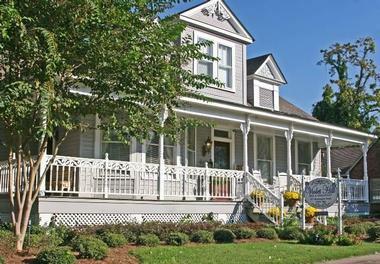 Point Clear Cottages is a charming bayside cottage that radiates gracious Southern hospitality and classic comfort. Owned by a life-long resident of Mobile Bay, Robert Berglin, the bed and breakfast allows guests to enjoy fresh flowers in their rooms, freshly pressed 500 thread count sheets, and delightful traditional breakfasts with items such as crab omelets, grits, and pecan waffles. Choose between the Bay Shore Cottage and the Pelican’s Rest guest quarters, both of which feature their own private entrances, kitchenettes, queen size beds, and full baths. A private dock with a hot tub, hammock, and grill is available to guests for a leisurely afternoon or evening. Taking a short stroll down the street will lead visitors to the Fairhope Museum of History. 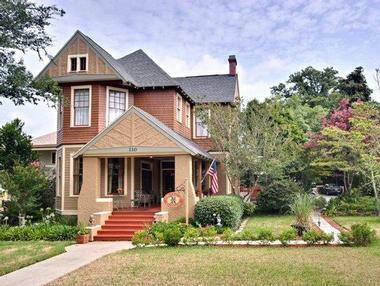 Combining the best of history with today’s comforts, the Kate Shepard House Bed and Breakfast offers a cozy and intimate atmosphere for guests in the historic town of Mobile, Alabama. The property is nestled amongst stunning 100 year-old Magnolia trees and is just a few minutes away from the Mobile Convention Center, the Carnival Cruise Terminal, Bellingrath Gardens and USS Alabama. About an hour’s drive away are the breathtaking coasts of the Louisiana, Florida and Mississipi Gulfs. 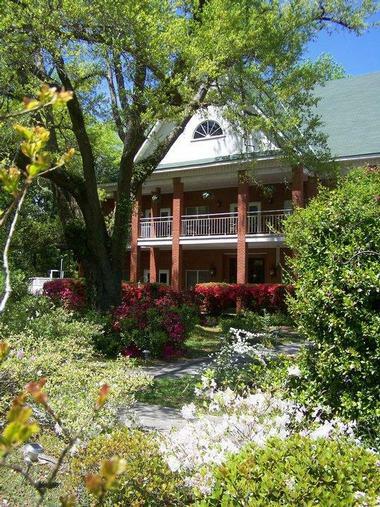 Apart from nearby attractions, the Kate Shepard House Bed and Breakfast is well-known for their delicious menu offerings with their Pecan Praline French Toast voted as one of “Alabama’s dishes to eat before you die”. 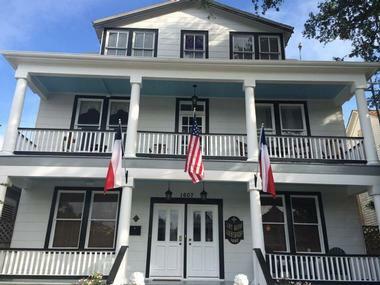 Violet Hill Bed and Breakfast is a beautifully built elegant guesthouse with a long history dating back to 1880 in Natchitoches. The guesthouse is composed of three lovely guest rooms and two exquisite suites. A number of amenities are available such as free wireless Internet access, color TV with cable, bedside mints, and hair dryers for guest use. A multi-course gourmet breakfast is also included in the pricing. Guests get to enjoy common areas such as the front galleries, dining room, parlor, and the veranda, which overlooks the Can River. Jefferson Davis Hughes, grandson of Peter Hammond, built the Hughes House at the turn of the century. With the help of talented craftsmen in the area and Hughes’ work in the lumber industry, the home was constructed with the finest quality wood available at the time. Whether you choose to spend your day lounging in the Hughes House’s elegant rooms, relaxing by the pool with your favorite book, or exploring the lush gardens, the quiet and carefree neighborhood is the perfect place to escape from the hustle and bustle of everyday life. Promising the best of Southern hospitality in a contemporary setting, the Renaissance Baton Rouge Hotel is a great choice for a weekend getaway. Just a few minutes away from the Mall of Louisiana and the Louisiana State University, the stylishly decorated hotel offers lavish amenities in each of its 256 rooms. A fully equipped fitness center, a courtyard, and a resort-style pool are also free for guests to enjoy. Travelers visiting on business will be pleased that the hotel boasts high-speed Internet and 8 state-of-the-art meeting rooms. Enormous ballrooms spanning 13,000 square feet may be rented for various purposes while delicious southern fare is served at the hotel’s Tallulah Crated Food and Wine Bar.